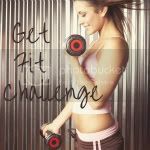 I’m very excited to start WEEK 1 of the GET FIT/GET HEALTHY challenge. For those not familiar with it, please go here to read how it works and to join. This week’s goal is to determine your fitness and nutritional challenges ( use this list for ideas), publish a post listing them along with your weight/height (optional) and a (self-)portrait of what you wish to look like when you’re done with the challenge. Don’t forget to enter it into the SELFIE SATURDAYS photo linky. After you’re done reading my tips for this week, go ahead and move over to Shutter Mama’s part of the challenge and read up about what you can do on the fitness part. What I’d like to talk about this week is eating out versus cooking at home. Oneof the best way to lose some weight, cut down on calories and eat healthier is to resolve to not go out to restaurants and eat all your meals exclusively at home. Now I know it might not be realistic for some who aren’t self employed or stay-at-home moms, however you too can make an effort. If one only knew precisely what restaurantsput into each and every meals, noone would ever want to eat out again. I suggest that whenever you have an urge to go eat out, jump online and find a caloriebreakdown of that restaurant’s dishes. I guarantee that this alone will deter you from dining at that restaurant forever. Or at least until the next urge. Even seemingly healthy options have tons of fat and calories. And the cheaper the chain is, the worse their food tends to be. Remember, to maintain their weight most women need 1800-2000 calories, however in reality I find that the majority of girls in their 30s have a metabolism that is much slower than that, making 1800-2000 calories a day a sure way to slowly gain weight ( a pound or two over a few months). So don’t over estimate how fast you burn calories and always go for less than you think you can have. I also realize sometimes you’re in a situation where you have to eat out, then you have to do what I do: pick the smallest ( size-wise) meal on the menu that has the most veggies and ask for dressing on the side if it’s a salad. Or ord er fish with a side dish of vegetables and request no oil to be used. You will be surprised that most chefs are willing to cater to your “silly” requests. Another tricky way of making sure you eat healthy and low in calories at the restaurants is to order anything vegan. Just ask for about vegan options on the menu and you’ll be almost guaranteed a healthier lower calorie dinner by cutting out our diet’s biggest offenders: cheese, sauces and meat. If you happen to own a smart phone, jump online and search for a calorie breakdown of that restaurant ( most restaurants have it published). If it’s a small shop, ask the server for a nutritional breakdown of the menu. I think every place is supposed to have one by law ( I might be mistaken, but every place I’ve asked has brought me a big book with a caloric breakdown). Then pick a meal with a reasonable amount of calories, the least fat and the most fiber. Another option that some restaurants have is ordering whole grain instead of refined grains, like CPK. California Pizza Kitchen has some of the best low calorie and healthy options if you know how to pick. Now, if you are able to avoid restaurants all together, you’ll be doing yourself a huge favor. Cooking meals at home, and not just snacking on whatever is available, is one of the easiest way of controlling your portions and calories. The key to cooking at home is making sure you follow the USDA guidelines: 6-11 servings of whole grains, 2-4 servings of fruits, 3-5 servings of vegetables, 2-3 servings of proteins, 2-3 servings of non-fat diary. Keep in mind that you need to reduce the amount slightly if you’re trying to lose weight, while still keeping the balance of the food groups. Another trick I discovered on my journey to healthy living was cutting down on any kind of fats and oils while cooking at home. When a recipe calls for 1/4 cup of olive oil, I cut that in half or more. If i have to use butter, I either skip it completely ( if possible) or add just 1 tbs of it. It does the trick and doesn’t ruin the meal. I’d even suggest that you cook on water or canola spray while you’re trying to lose weight. There are also plenty of low calorie dressings available with only 35 calories per 2 tbs that taste amazing! Make your own dressing too. Store bought Caesar doesn’t even come close to the Ceasar dressing I make at home using 1/3 of the amount of oil and it has half the amount of calories to boot. Hope you find this helpful and will attempt to incorporate some of it into your life. My goal for this challenge is to maintain my weight and gain more muscle tone and strength, as well as continue eating healthy. I cannot be losing weight right now, since my BMI is on the border of being underweight and normal ( and that’s after I gained 3 lb on purpose). So I need to stay where I am and prepare my body for the physically demanding aspects of pregnancy and childbirth. 2. Your fitness challenge(s) for this week: 30 minutes of intense pilates every other day + 30 minutes of cardio ( rollerblading, running, swimming or treadmill) every other day. 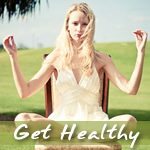 Special exercises designed for pregnancy to increase flexibility (daily) + Kegels (twice daily). A total of about an hour of physical activity a day. 3. Your health challenge(s) for this week: My eating habits are close to perfect, however I could improve on water intake. My goal will be 8 glasses of water daily + continue eating the way I do now. 5. Failures and slip-ups: I do catch myself forgetting about eating. And while it’s sort of fine right now, I cannot skip meals or go without food when I am pregnant. Therefore I need to work on making sure I eat throughout the day. Also there are days when I eat 2 or 3 cookies after meals, rather than just one. 6. Weekly challenge wisdom: It really feels absolutely amazing to be doing good in both fitness and nutritional part of my life. I feel like a 100% better person, accomplished and guilt free. 7. Advice to fellow GET FIT members: All you need is be determined and be strong! I know some of you think you’ll fail, but with fellow bloggers’ support you might just be strong enough to go on. This selfie was taken about 3 years ago or so, right before I left for New York to model. I had spent the previous month working out 2 hours daily ( pilates and step aerobics ) and dieting, so at that point I had very little body fat ( probably dangerously little) and really nice strong muscles. I realize that right now, when I am getting ready for a baby, I cannot diet, but I can continue improving my muscle tone and flexibility. This photo will serve as a reminder of what I strive to look like once I have a baby and that working out and eating healthy NOW will help me bounce back easier and faster LATER. Now that you’re done reading about this part of the challenge, make sure to check out Shutter Mama’s post, as well as enter in the Selfie Saturday linky ( this week’s theme is “my dream self” photo). And don’t forget to join and write your own post with your goals ( see questionaire above) and a self portrait of what you’d like to look like. Don’t forget to display the GET FIT GET HEALTHY buttons ( code on the sidebar)! NEXT WEEK SELFIE SATURDAY THEME: Full Body Shot – Take a full body shot- it will be your starting point in the GET FIT challenge. In a few months we will take another full body shot to view our progress. It’s so weird here when it comes to restaurants. 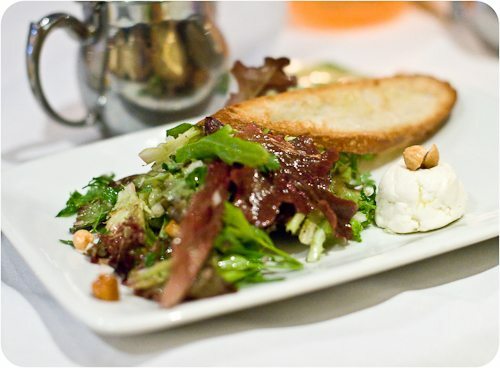 The traditional salads usually come with no oil and salt at all and you add them yourself if you wish to. Tomato and cucumber salad with Bulgarian white cheese (something like Feta but so much better!) or yogurt that is only produced here with cucumbers, garlic and walnuts – yes, please!! But in the last few years more and more foreign salads appear in the menus like Caesar salad or other lettuce salads and they all have ridiculous amounts of oil and/or mayonnaise! So yeah, “always order dressing on the side” is an excellent rule! I’m wondering about the USDA guidelines, I’m not sure I quite understood those. Like, my meals consist of about 50% veggies, 20% protein, 20% fruit and the rest 10% is for carbs (preferably beans, potatoes or whole grains). If I am not mistaken the guidelines suggest that you eat mostly carbs? USDA guidelines is what we are supposed to eat when it comes to a balanced intake. An average body needs 250 grams of carbs, 50 grams of protein, and neglible fats ( preferably good fats: omega 3s), so that’s what the USDA food pyramid is referring to. First of all, beans are not carbs, it’s pure protein and it goes into the protein groups. Potatoes are also not whoel grains, it’s startch, so it doesn’t count. Here’s the pyramid image, btw, if you’re interested. BTW, the same recommendation are given in all of the best pregnancy books as well. As much as I don’t like eating too many grains and pasta and rice (carbs), every book definitely states that you’re supposed to eat at least 7 servings of that a day. I was gifted a great book called “Restaurant Confidential” that has the nutritional information from hundreds of restaurants, including fast food places. But the best thing about it is that is tells you the best and worst things to order from all of these places so it makes it really easy to flip through and see what to get. Just another tool that might help someone! Wow — great tips! We usually eat at home or make similar (healthier!) desired restaurant foods at home. It is scary how quickly calories can add up when eating out! And I do tend to eat better when eating at home. Thank you for taking the time to read my blog and for the encouragement! I can’t wait to see what’s next. I hope doing this will bring me to greater hights & keep me on track. I love the tips & I think it’s an awesome concept. Yes, you’re right, but it still goes into the category of protein ( plant protein), probably because it has a significant amount of protein compared to, let’s say, grains.